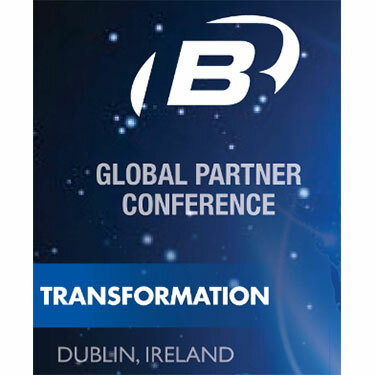 The Global Partner Conference was an excellent opportunity for us to have a sneaky glance at what B&B have up their sleeves for the I0T and M2M market. The 3 new products released were met with excellent feedback and a level of excitement to hurriedly get them to market…watch this space! “We’re well into autumn in Illinois. Leaves are changing their colors and Halloween decorations are springing up around the neighbourhood The often-quipped – yet seldom followed – edict of “no furnace until Thanksgiving” has already been broken at the Fahrion homestead. It won’t be long before I’m packing away the summer toys and contemplating taking up cross-country skiing. Autumn is a time of transition. We’ve been going through a transition at B&B as well. We’ve been developing new products and new technologies, and working with many new partners. Energizing stuff. We shared the results of our efforts with a couple hundred close friends and partners a couple weeks ago in Dublin where we hosted our biggest ever global partner meeting. There we showcased our Wzzard wireless sensor platform, our next generation cellular routers and the Sabre 200, our new MEF 2.0 Carrier Ethernet intelligent demarcation device. We also gave our gathering of insiders a sneak peek at our roadmap of upcoming technology. (You can learn more about Wzzard and Sabre at https:// bb-smartsensing.com and https://bb-sabre.com). You’re going to want to stay tuned and watch this transformation unfold for yourself, because this isn’t a story of B&B’s transformation, it’s the world you and I live in that’s changing. The “Internet of Things” is already becoming overused, the best summary I can give of this rapid transformation is that two silos of technology that have largely lived in isolation from each other are beginning to meet. Information Technology and Operational Technology are beginning to mix it up. In this convergence the eclectic mix of nearly 5 million “M2M” connections that make up B&B’s history exhibit a common theme. More often than not, our products have been used to create links between the IT and OT world. Often those links were nothing more than fine threads – a singular data connection that connected a controlled process into the information world. Now things are really heating up and we’re moving into the very early days of a new world where IT and OT are no longer isolated disciplines. If you step back, there no surprise. Modern IT evolved to its current level of ubiquitous networking, interoperability and Internet connectivity in less than 20 years, and the advances keep coming. The rapid advancement is due in part to the fast refresh cycles of equipment in the IT world – new generations of hardware every three to five years and software in a fraction of that. That’s a different picture than the very slow moving OT world. In OT, not only are refresh cycles of major equipment measured in decades, but it’s a world where being conservative is important. Reliability and safety trump speed and agility. But now the OT world wants to leverage IT technologies. Mobile devices, analytics, ubiquitous networks of computers, devices and people. This isn’t just a technology shift, it’s culturally driven as well.